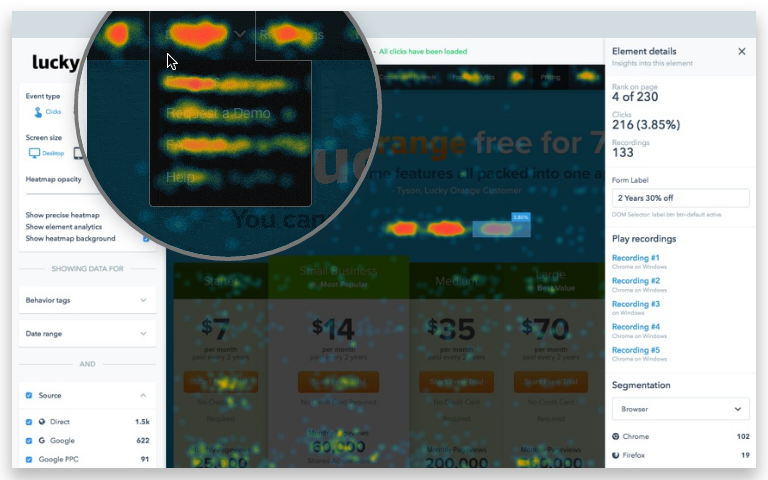 Generate heatmaps for any page on your website to see exactly where your visitors and HubSpot contacts interacted. Segment this data to uncover actionable ways to improve conversion rates to generate more leads. This integration requires both Lucky Orange and HubSpot. Learn more. With this integration, you can track and record every HubSpot contact's interaction with your website. These video sessions are automatically assigned to the HubSpot contact record's timeline, so you can easily diagnose and take advantage of conversion opportunities. Use Lucky Orange to determine where prospects dropped off in the conversion process. 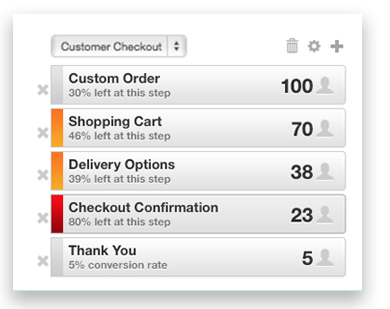 Use this data to better optimize your forms and conversion paths. 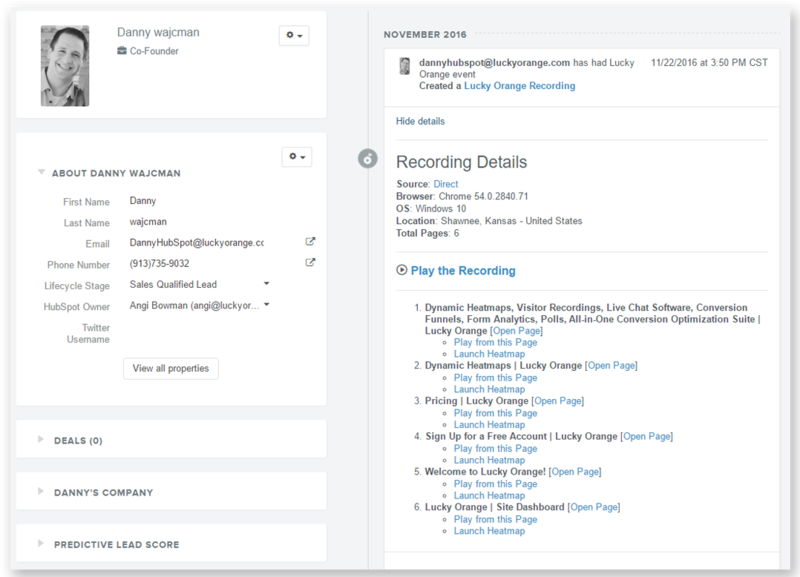 This integration syncs your CRM contacts with Lucky Orange’s Dynamic Heatmaps, Visitor Recordings, and Chat logs, so you have unmatched insight for each lead, accessible directly in your CRM.